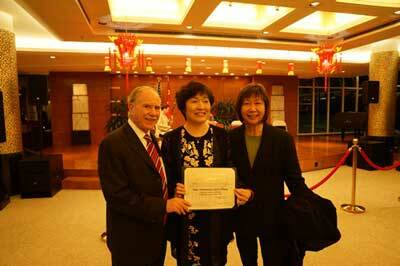 On February 5th, Consul General Zhang Qiyue held a reception at the Chinese Consulate General in New York. More than 300 people from the local governments, legislatures, media, think tanks and consulates attended the event. Among them are representatives from the State Department, New York State government, New York city government, state assemblymen, major news groups, key universities and business communities. 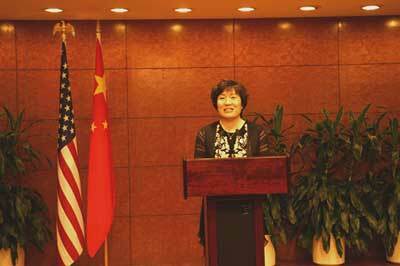 Consul General Zhang delivered remarks. She said that our bilateral relationship is stronger than ever before, which goes well beyond the bilateral dimension and touches upon nearly every regional and global issue. The United States and China have a vital stake in each other's success. We must work together to achieve win-win cooperation and constructive management of differences. Chinese companies such as Fuyao Glass, Vanke Group and Greenland Group, just to name a few, have invested hundreds of millions of dollars in different sectors, contributing to local economic growth and job creation. She will reach out to all the 10 states and as many cities as possible and foster closer partnerships. Guests expressed readiness to work with the Chinese Consulate General to further promote cooperation and exchanges between China and the eastern US.